An eminently qualified consultant neurosurgeon and spine surgeon, and a leading member of the elite neurosurgical team at the Sita Bhateja Specialty hospital, Dr. Banu Prakash has experience and expertise to back his numerous qualifications. He is a product of the renowned Bangalore Medical College and Research Institute, the batch of 1998, who went on to gain his MS degree in General Surgery in the Topiwala National Medical College & BYL Nair Charitable Hospital, Mumbai in 2004. He further honed his surgical skills in the prestigious Postgraduate Institute of Medical Education and Research, Chandigarh, where he added an MCh in Neurosurgery to his qualifications in 2008. This highly-recommended surgeon who is currently based in Bangalore further went on to develop his interests in the fields of Deep Brain Stimulation, Minimally Invasive Surgery, 3-D Endoscopy and Endovascular techniques in the US. He has done observerships at the Barrow Neurosurgical Institute at Phoenix, Arizona (in areas of skull base surgery, vascular surgery, functional DBS, VNS, and Spine-X LIF) and at City of Hope, Los Angeles in areas of robotic surgery and nanomedicine in the treatment of brain and spine tumors. Aside from all these qualifications and experiences, this surgeon par excellence also holds memberships with the Neurological Society of India, Bangalore Neurological Society, Indian Society of Neuro-Oncology, IMA, Karnataka Spine Forum, and the North American Skull Base Society. Dr. Banu Prakash has interests in academia too and has vast teaching experience as well as numerous national and international research publications in illustrious journals. Known for his down-to-earth, humane approach towards his patients, Dr. Banu Prakash is a much-sought-after neuro- and spine surgeon in Bangalore. He currently practices at the Sita Bhateja Specialty Hospital in Bangalore aside from offering free consultation services at the ESI Hospital and Kshema Specialists Clinic to fulfill his beliefs in giving back to the society. 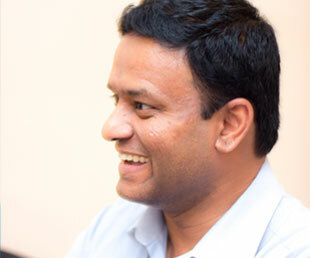 With eighteen years of experience, Dr. Prakash is amongst the topmost surgeons in Bangalore.